includes a bodypack transmitter with lavalier microphone, the plug on receiver and all accesories to operate out of the box with camcorders as well as DSLR cameras. It features self configuring digital transmission which eliminates time-consuming radio frequency setup. 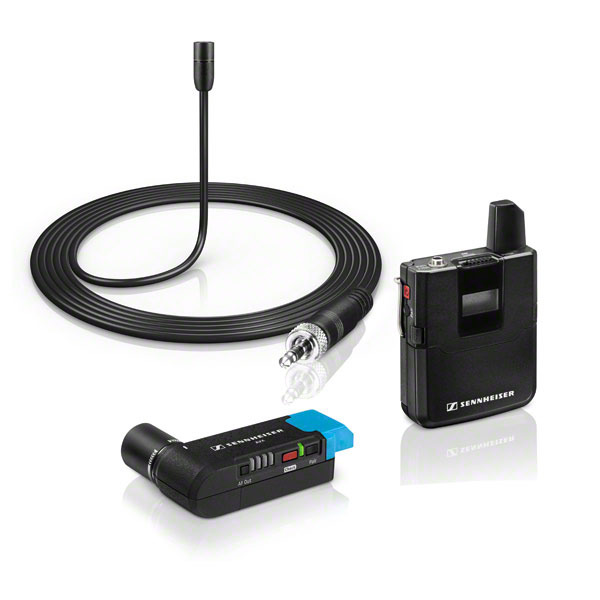 The ultra compact receiver rotates around the XLR connector to avoid collision with other devices mounted on your camera. It switches on and off automatically with your camera – saving battery power. The AVX matches perfectly to your camera’s input sensitivity without having to adjust the audio level on the microphone. From professional wedding video to documentaries, from street interviews to corporate videos, the AVX just works allowing you to concentrate on creativity.